Sale-a-bration starts Jan 6th and you could get the Best Day Ever Stamp set or Best Day Ever Designer Series Paper for Free with a $60.00 order. 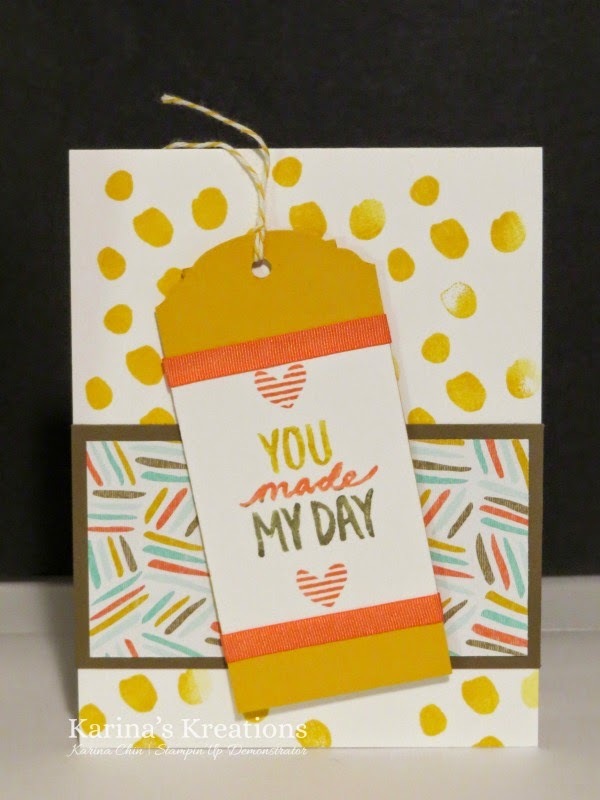 I made this cute card with the stamp set, the designer series paper and the matching ribbon. What do you think? I also used the new Ornate Tag Topper Punch on the tag. The Stampin' Write marker colors are Crushed Curry, Calypso Coral and Soft Suede. We could make this card at a private class for you and some freinds. Email me at kchin2@telus.net if you're interested.